The music-loving public has been infuriated by Bob Dylan's twists and turns during his career. 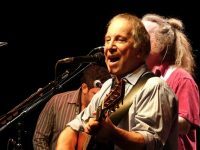 There were many such instances, like the one in 1965 when he switched from the acoustic guitar to an electric one during the Newport Folk Festival. The biggest howl from the public was however reserved for the time when he became a devout Christian during the sunset of the 1970s. This time period has now been made into a film, intriguingly titled The Trouble No More. The documentary will be broadcast on BBC March 30. Dylan's religious period, starting from 1979 and ending in 1981, spanned three albums. All three, Slow Train Coming, Shot of Love, and Saved, pushed his music into a radical new direction. They went from clearly secular to intensely religious. Reaction among his fans was naturally bewilderment. 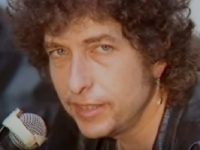 One of them even complained in the documentary that he felt cheated, saying if he wanted to hear sermons, he would have visited a church and not a Bob Dylan show. 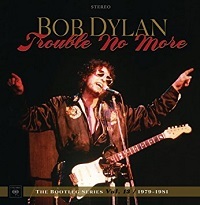 The Trouble No More is essentially a compilation of multiple concert recordings from his religious period. This makes up the 13th volume of the Bootleg Series. The latter is a gathering of many previously unreleased material. The film duration is approximately one hour. The documentary casts a mellow light on Dylan's trysts with evangelical Christianity. Jennifer Lebeau, the director, has taken full advantage of the once lost 1980 film concerts. The outcome shows the artist in all his glory. Dylan seems to have given his best performances during that period, an opinion echoed by Fred Tackett, his guitarist. 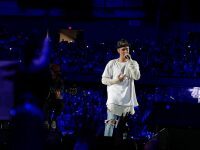 The singer also exhibited his degree of commitment to the message he was trying to say. This footage is invaluable as stadium audiences were at that time not yet introduced to the convenience of giant screens. The lyrics contained the same apocalyptic and visionary poetry which characterized the singer's career. Dylan was accompanied by his trusted backup band consisting of, Rock and Roll Hall of Fame Keyboardist Spooner Oldham and Fred Tackett playing the guitar. He also had talented backup singers like Mary Elizabeth Bridges, Clydie King, Regina McCrary, Mona Lisa Young, and Gwen Evans. The director has intercut every song with a Luc Sante written homily delivered by Michael Shannon playing a preacher. What Religion Does Nobel Prize Winner Bob Dylan Practice?